Welcome back! If you’re returning to Kent after the summer break, here’s a helpful summary for settling back in. Stage two and three timetable dates are on the Student Guide and will be released week beginning 10 September. Continue to go back and check your timetable regularly for updates including other events. 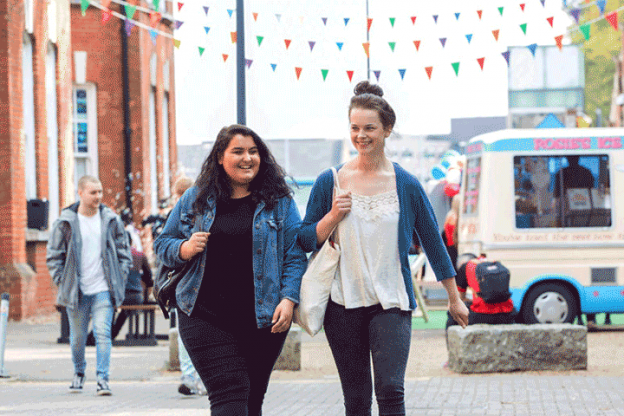 Read our Timetabling FAQs. You will need to register on SDS from Tuesday 18 September so we know you’re definitely coming back. To ensure swift payment of your student loan, you are advised to re-register by Wednesday 19 September. It takes 3-5 working days from the point of registration for funds to be released to your account. Read more. Term starts on Monday 24 September. Welcome Week is the week before (17-21 September). View term dates. If you’ve got a new phone, tablet or laptop, get it Kent WiFi-ready before you come back to campus by running our WiFi setup tool. Living off campus is very different from living in University accommodation. Read our community webpages for information on bills, bins, neighbours and much more! Find out what’s changed at Drill Hall Library on the Student Guide. Have a great 2018-2019 at Kent! This entry was posted in Medway Student and tagged Medway on 11 September 2018 by Sophia Cheraitia.